We’ve been through this whole saga, so I’m not going to bore you with it again, but in case you do need to catch up, there was this and then there was this. Eventually (and more positively) there was this. 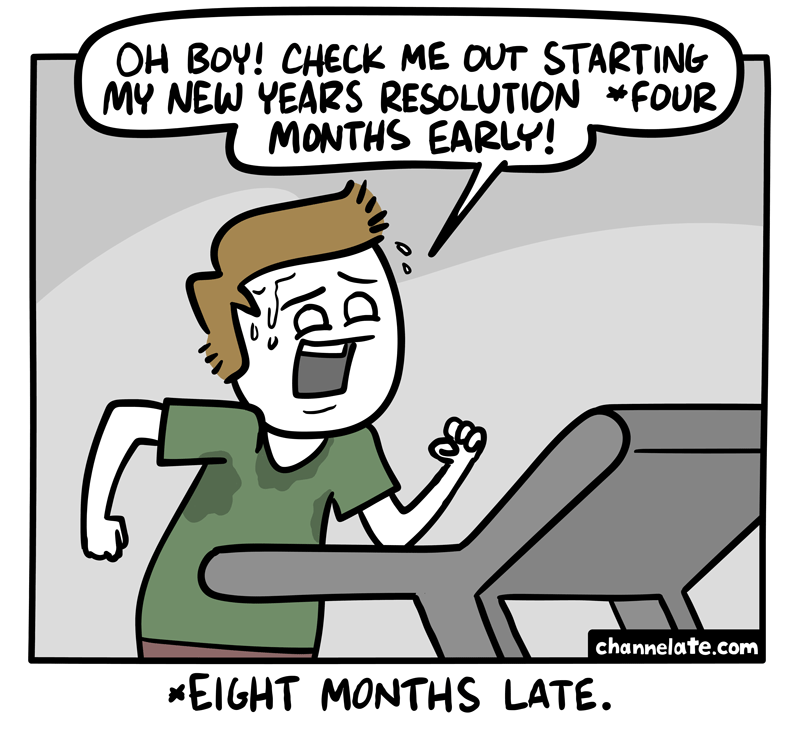 So this cartoon doesn’t really apply to me, but having spent another hour at the gym yesterday, I can completely sympathise. It’s all about how you choose to look at things, I suppose. Starting to do something good is a positive thing to do, no matter when you begin. Although it didn’t feel great at 8 o’clock on a grey, wet Monday morning, I’ll be honest.